Norway’s famed Resistance (Hjemmefronten) forces have long been viewed as the country’s heroes of World War II, as they sabotaged Nazi German occupiers and ultimately helped drive them out. A new book, however, reveals how some key Resistance fighters knew about plans to round up Norway’s small Jewish population and literally ship them off to death camps in Germany, yet failed to warn them or attempt to halt the deportations. The book, entitled Hva visste Hjemmefronten (What did the Resistance know? ), is already being called one of the year’s most important books. 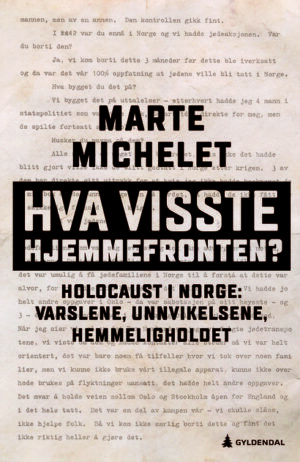 Author Marte Michelet, who wrote a best-selling book about Norwegian complicity in the Holocaust four years ago, has followed up with a blockbuster (subtitled “Holocaust in Norway: the warnings, the evasion, the secrecy”) that’s instantly grabbed attention. 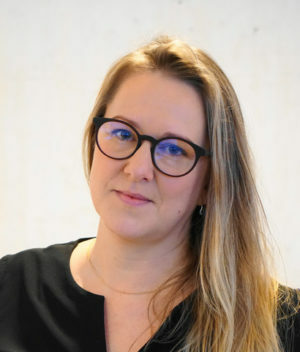 “Marte Michelet has kept working on the history of the Norwegian Holocaust, and how so many Norwegian Jews could have been exterminated so effectively,” writes Cathrine Sandnes, an editor at publishing firm Gyldendal that released the book late last week. She noted that Michelet challenges the idea that the arrests and deportation of 773 Norwegian Jews in the fall of 1942 were unavoidable. After poring over historic documents and articles, not least in the archive at Oslo’s own Resistance Museum on the grounds of the Akershus Fortress, Michelet reveals how historians and Resistance heroes themselves have played down, glossed over or withheld information about the Jewish deportations. 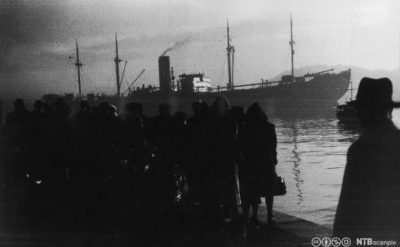 A total of 529 residents of Oslo alone were rounded up in the early morning hours of November 26, 1942, loaded onto the German ship Donau and sent to the Auschwitz concentration camp. Only 38 of the 773 Norwegians deported survived. Just nine returned to Norway when the war ended in 1945. Michelet writes how German lawyer and double agent Helmuth James von Moltke informed both Norway’s government in exile in London and Resistance leaders in Norway of the arrest and deportation plans after the Wannsee Conference in January 1942, where Nazi leaders launched their program for systematic extermination of Jews in the countries they occupied. The official version of the Norwegian arrests and deportations in the fall of 1942 is that they came “like lightning out of a clear sky,” Michelet writes, and that the Resistance did all they could to save Norway’s Jewish citizens. Not so, according to her book. An unidentified source gave her a copy of an interview stored in the Resistance Museum’s archives that historian and Resistance fighter Ragnar Ulstein had conducted with the late Resistance hero Gunnar Sønsteby in 1970. In it, Sønsteby says that he and his colleagues knew about the pending arrests three months before they were carried out. “We were 100 percent sure that the Jews would be taken in Norway,” Sønsteby told Ulstein. Michelet claims Ulstein’s interest in the Jewish deportations wasn’t welcomed by many in the private circles that established the Resistance Museum after the war, and that he was told to stop digging into it. While Norwegian literary critics are mostly raving about Michelet’s book, she has also met criticism from the leader of the Resistance Museum Frode Færøy. While she questions close relations between Resistance heroes and historians and journalists perhaps unwilling to challenge them, Færøy disagrees that the “historians’ pens” were not free. He thinks she has overblown the interview with Sønsteby, even that it’s “absurd” to use it as proof that the Resistance knew about detailed plans for the arrests and deportations. He admitted to Dagsavisen, though, that antisemitism existed within the Resistance. “Some had prejudices against the Jews, also in the Resistance,” Færøy said. “It’s difficult to write about, however, and a dilemma to identify those with antisemitic attitudes.” He claims he welcomes the debate that Michelet’s book has stirred up about the Resistance. Michelet, daughter of the late author Jon Michelet who highlighted the traumas of Norway’s merchant marine sailors during World War II in his own series of books, maintains that it’s “deeply problematic” that no one has earlier delved into the how the Resistance failed to tackle the Jewish persecution. Critics seemed universally glad that she now has, with newspapers Dagbladet, VG, Aftenposten and Dagsavisen giving her book strong, even glowing, reviews and recommending that all Norwegians should read it. Aftenposten wrote that the book’s revelations were almost “painful” to read, but hopes they will continue to unleash powerful debate. Michelet is clearly stirring up a national trauma, four years after revealing how Norwegian police took part in the Nazis’ arrests and how few others acted to defend their Jewish countrymen. “In one well-documented chapter after another, Michelet shows the fatal consequences that apathy led to for the Jewish population,” wrote Dagbladet, calling her book “the most important book” of the year.